Tiszta rendezett volt a szállás, a tulajdonos kedves és segítőkész. Hatalmas erkély volt a szobához - bár nem tengerre néző- de gyönyörű kilátással. A felszereltség, a gyakran cserélt friss törölközők, bőséges ágynemű,,kényelmes ágy. Gyönyörű apartman, nagyon jól felszerelt. Kedves és segítőkész személyzet ! A fekvése is nagyon jó, par lépés a tengerpart. A környzet eszméletlen szép! Biztos, hogy megyünk még! Köszönöm! Az apartman gyönyörű volt, rend és tisztaság várt minket. 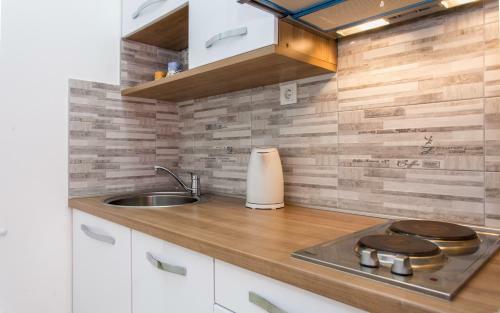 Nově zrekonstruovaný apartmán,dobře vybavená kuchynka,pěkné okolí,kousek na pláž,do obchodu i do starého města,líbilo se nám tady. 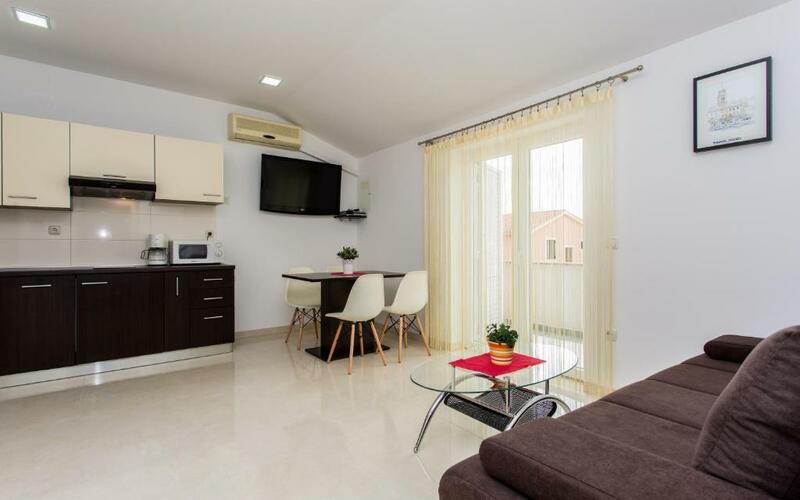 Lock in a great price for Apartments Hrgovcic – rated 9.2 by recent guests! 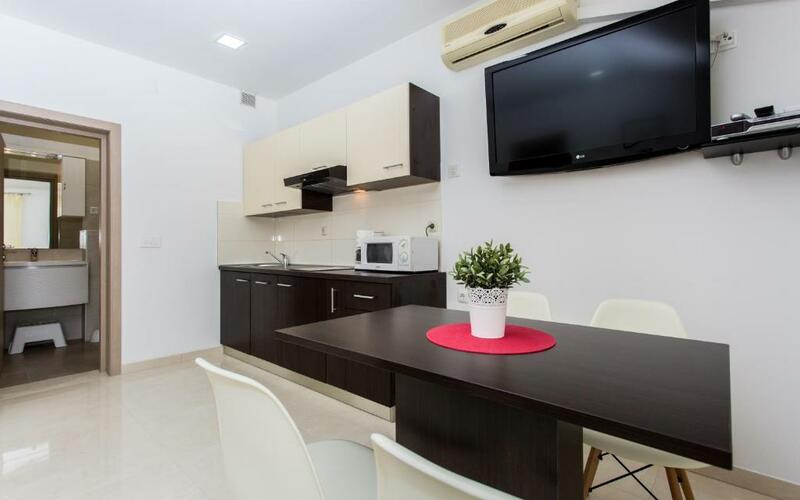 Apartments Hrgovcic This rating is a reflection of how the property compares to the industry standard when it comes to price, facilities and services available. It's based on a self-evaluation by the property. Use this rating to help choose your stay! Fitted with a patio, the accommodations offer air conditioning and feature a flat-screen TV and a private bathroom with shower. There's a fully equipped kitchen with a fridge and coffee machine. 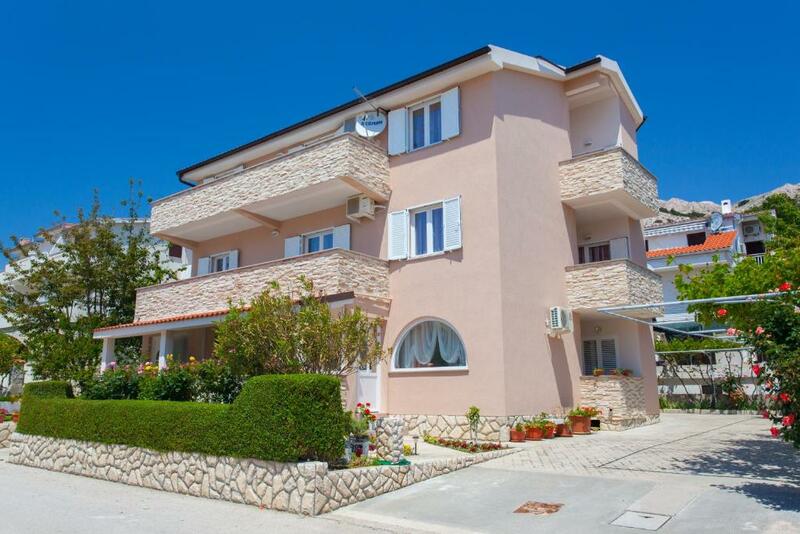 Baška Riva Promenade is half a mile from Apartments Hrgovcic, while Baška Port is a 14-minute walk from the property. 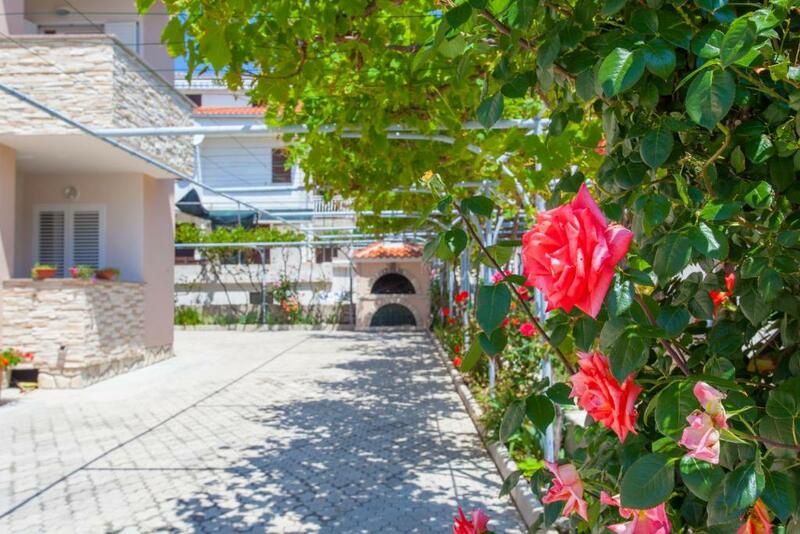 뀐 Located in the top-rated area in Baška, this property has an excellent location score of 8.8! When would you like to stay at Apartments Hrgovcic? This apartment has a seating area, tile/marble floor and balcony. This apartment features air conditioning, electric kettle and private entrance. Obiteljska kuća sa apartmanima. Postanite našim gostima i dozvolite nam da Vam omogućimo miran i bezbrižan godišnji odmor. House Rules Apartments Hrgovcic takes special requests – add in the next step! Please inform Apartments Hrgovcic of your expected arrival time in advance. You can use the Special Requests box when booking, or contact the property directly using the contact details in your confirmation. 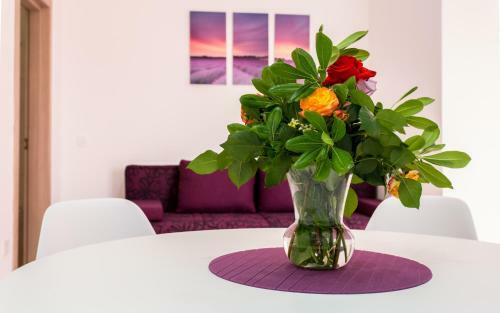 Would have been better for the host to pay attention when they receive a reservation, and when they see that the guests have small children, to give them an apartment at the ground floor or 1st floor not 2nd.Otherwise the apartment was quite ok, clean and with all facilities for everybody. In our apartment there could be more shelves for clothes and other things, especially in room connected to kitchen. Due to lack of shelves we had to keep our things in our bags.